The Sikkens Autowave System is hands down, the best waterborne solution on the market, providing excellent coverage and accuracy. It is eco-friendly, offers low solvent emissions, and meets all environmental regulations. Sikkens is a leader in the industry, and we at Secor Collision Technology rely on this product to give our customers the best possible results. We are an I-CAR Gold Class® Body Shop, respected and known for the highest quality collision repair. If you’ve been disappointed by uneven coverage or halo effects in the past, then you need to choose a repair shop that uses Sikkens Autowave and the Sikkens Simple System. Sikkens Autowave is a unique Waterborne Refinishing System that complies with the auto industry’s changing environmental regulations. It stands out from other products on the market thanks to its combination of great, long-lasting coverage and environmentally friendly ingredients. This nearly odorless, low-emission product packs in a lot of color and durability. It’s ideal for both spot and edge-to-edge repairs. The Autowave’s fast and accurate color matching and smooth, even coverage makes blending a breeze. It dries rapidly and offers fast and invisible repairs without a halo effect. Sikkens Autowave is most effective when used with the Sikkens Autowave Simple System. This revolutionary three-step painting system involves a base layer of Colorbuild Plus 250 undercoat, followed by Sikkens Autowave basecoat (quick and accurate color match with absolutely no haloing), completed with a finishing coat from our Autoclear line. This two-part application offers a long-lasting, glossy finish. 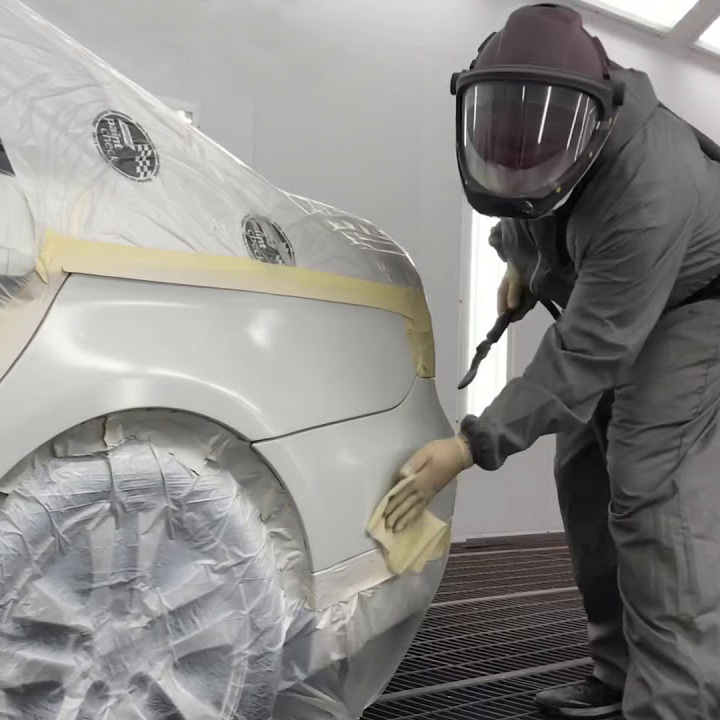 At Secor Collision Technology, we will earn your trust by using only the best paint systems, expertly applied by our I-CAR Gold Certified Collision Repair Specialists.